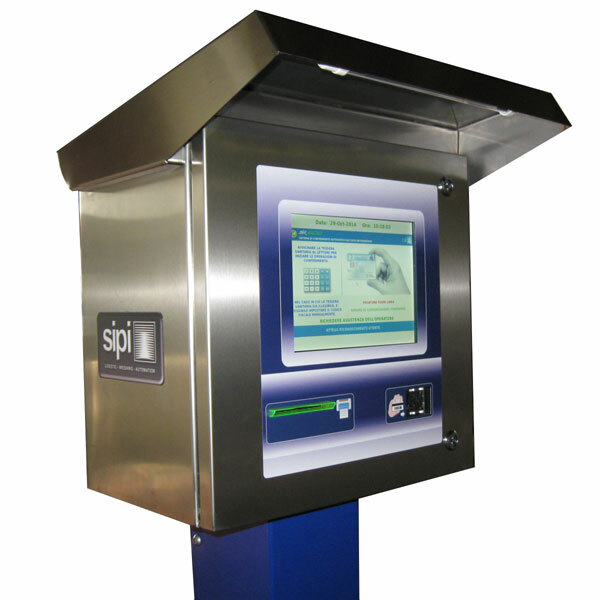 The SIPI SE 511 SS series (Self-Service – functioning without operator) computerised indicator can be connected to load cell weighbridge electronic platforms. 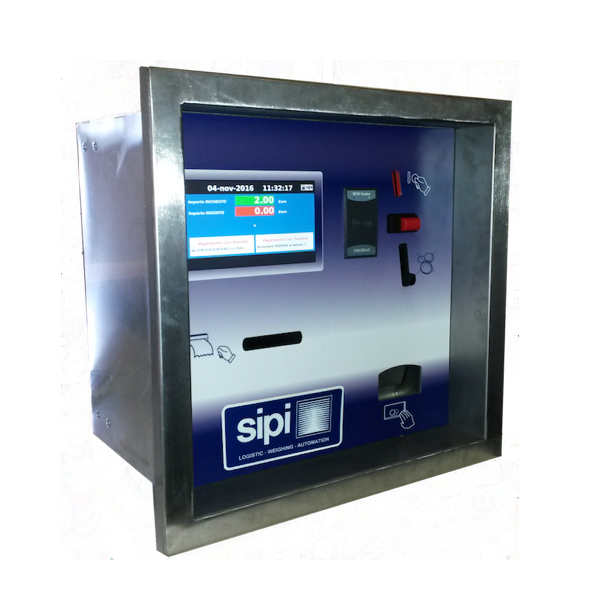 The indicator is constructed with a touch screen display or with 4-line alphanumeric LCD display, with the ability to view, in addition to the weight, other relevant data, and to print confirmation tickets. 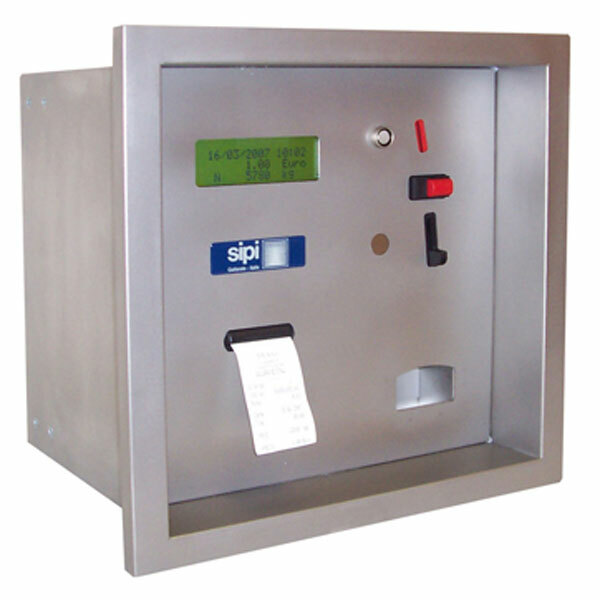 The use of this indicator is useful for self-service functions and for the management of weighbridges without operator intervention. 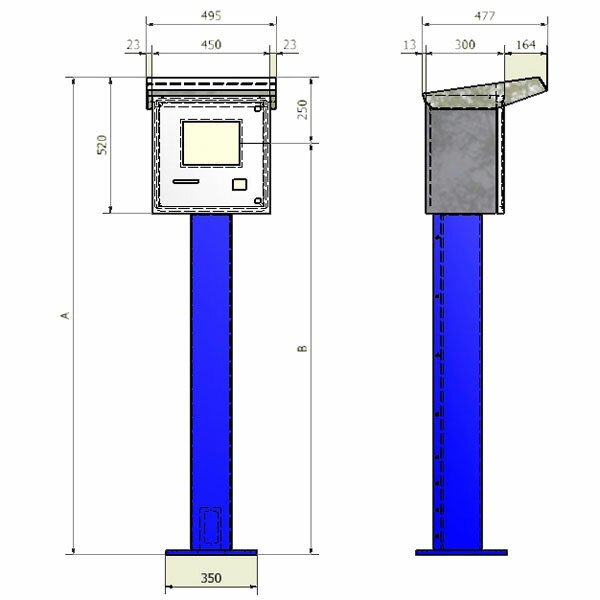 It is an electronic indicator for applications on weighing platforms and systems up to 8 load cells of 350 Ω. The terminals have Test Certificates for use as a weighing systems module in combination with other components approved according to Welmec guidelines. It also has an EC Approval Certificate in accordance with the requirements of the EN-45501 standard. The SISCO system has been developed in order to facilitate the delivery of waste to the ecological platform town by individual residents. 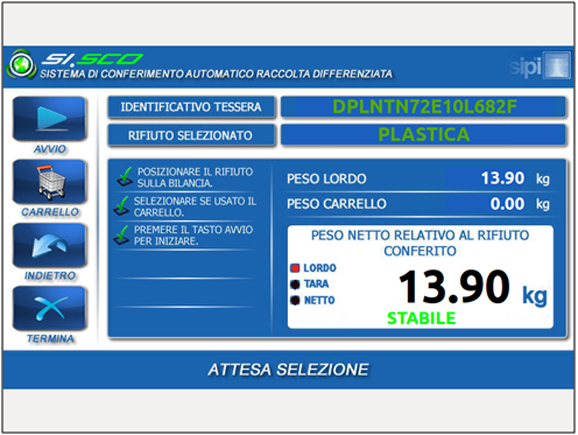 The system through the reading of the health card identifies the individual bestower therefore can autonomously carry out weighing of the material to be delivered. The weighing path is fully guided with the aid of various graphic screens that suggest to the user the sequence of operations to be performed to complete the desired operation. The user during the weighing phase can freely choose whether to weigh the material using hand weights or weight for motor vehicles. After each operation involving the material will produce a tag stating the key data of the weighing performed. And ‘an electronic indicator for applications on platforms and weighing systems up to 8 load cells of 350 Ω. The terminal is equipped with a Test Certificate for use as a form of weighing systems in combination with other components approved according to Welmec guides. It ‘also equipped with EC Approval Certificate in accordance with the requirements of standard EN-45501.